Just read about your wonderful visit and the great pics you posted in the Letter from Madrid. Sounds like you had a great time, and I want to be there again!! 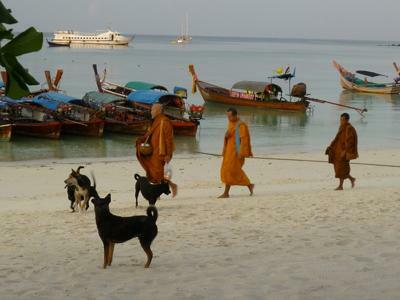 We too were in Thailand, but about 1,000kms south on an island called Koh Lipe. Picture of the beach near where we were staying one morning before the crowds awoke!